Muddy says: what’s great about Sarah is that she has such a refreshing approach to fitness, her mantra says it all: do what you can, when you can and feel good about what you have achieved. She sounds like our kinda lady! Where can we sign up? Who doesn’t want to get strong, healthy and in better shape? The trick is finding the perfect person to get you there. 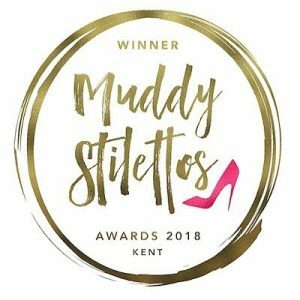 Well look no further, as Sarah Maxwell was the winner of our 2018 Muddy Stilettos Best Fitness Instructor in Kent. Top celebrity trainer, Sarah, offers group classes or one-on-one expertise; including lifestyle consultation, dietary advice and video fitness homework tailored to you. After working as a Personal Trainer in London for many years, training stars from Loose Women’s Andrea McLean to Strictly Come Dancing’s Anton Du Beke, Sarah now lives in Kent with her family and works from her studio in Cranbrook. Get in touch with Sarah to hear more about her bespoke Personal Training, boutique style Ballet Barre classes, Fitness Retreats – or you can even get Sarah in your own home via Skype! You can book her classes online from her website and even book a taster Ballet class where you can try it without obligation – we’ll bring the tights!